Sunday-Thursday Evenings 6pm-8pmVBS is for children who have finished Kindergarten up to 6th grade. All parents/guardians are welcome to attend VBS groups with their children. Also all parents/guardians should plan to come to the 7:50pm large group time at the end of each evening. 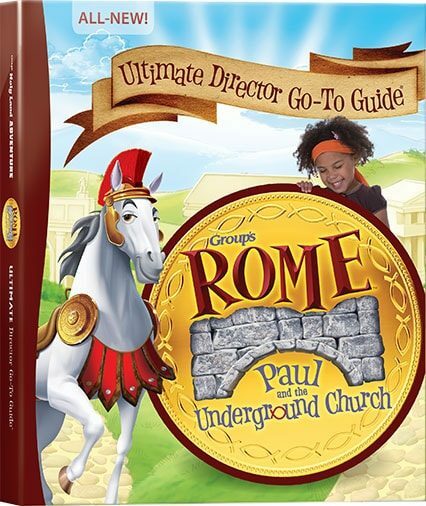 A summer family event called Rome: Paul and the Underground Church will be hosted at Bethel from Sunday, June 11 to Thursday, June 15. Families step back in time to Rome, exploring the life of the apostle Paul and the underground church. Kids and adults participate in a memorable Bible-times marketplace, sing catchy songs, play teamwork-building games, dig in to Roman eats, visit Paul while he’s under house arrest, and collect Bible Memory Makers to remind them of God’s Word. Each day concludes at Extollo—a time of upbeat worship that gets everyone involved. Rome will run from 6 PM to 8 PM each day. Shawn Berry at 382-9198 or Gwen Berry at 382-2610.